It’s among the loftiest ideas in blockchain. Substratum is building the foundation for a new decentralized internet. This is to be an open internet that cannot be censored by restrictive governments. So, for those using a VPN or Tor to achieve anonymity online and to view blocked content, Substratum brings new hope for the future. Or If you’re a realist, it’s a new alternative to get around the frustrating deficiencies inherent to the web. Of course, it takes more than great tech to make such a profound change in the internet. And while Substratum has talented people with the software chops, it’s their business ethics that may sink the ship. More on that later. First let’s get a feel how Substratum works. After all, this project is backed by some game changing vision. The established way to deliver web content across the globe is via a hosting service. Small businesses, corporations, and content creators alike rent rack-mounted servers stored in huge facilities, or in the case of many tech companies, operate their own facility. It’s an effective system run by professionals. However, it’s centralized. This means a website can be blocked by targeting the IP address associated with the site. This is how ISPs, institutions and governments can potentially censor content. Decentralized hosting has no single point of failure. Thus, specific sites cannot be blocked by simply targeting an IP. So, if one machine contributing to hosting the Substratum network (aka a node) goes down, the role is simply filled by another node. This is an internet hosted “by the people” with their home computers. To keep their site on the Substratum network, an individual or business pays with Substrate (SUB) tokens. This is obtained by trading another cryptocurrency for SUB, or by exchanging one’s native currency for it. Users are incentivized to run nodes. SUB tokens are earned relative to computing power and duration that computing power is used to support the network. 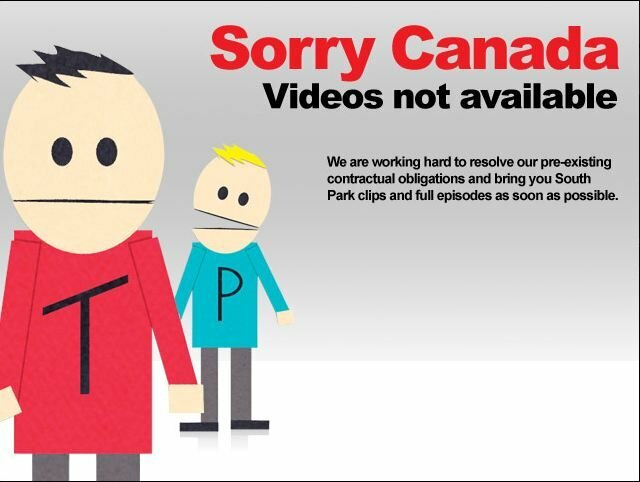 A Threat to VPN Services? Using a VPN service is currently the best way to hide your identity online in terms of speed, effectiveness and user experience. But free is tough to beat. And the Substratum economy directs all costs to site owners, not users of the network. So, users seeking to attain greater privacy may gravitate towards the decentralized web over time. And this could put VPN providers in tough spot if Substratum is fast. VPN services are so affordable that many won’t bother to change their habits. However, if SUB succeeds it will take a bite out of their customer base. Substratum creates an interesting opportunity for techies that operate independently from a corporation. Anyone with computing power and an internet connection can contribute to the decentralized network. With the release of Substratum Node v0.5 software, everyone running it will be paid in SUB tokens. However, it remains to be seen if this system will be profitable enough for hosting companies to participate in any capacity. It’s probable that home users will be undercutting professional web hosts, as new participants in the space will push the value of hosting down. Thus, if SUB takes off, site owners will now need to think about hosting for both the centralized and decentralized web. Big players using cloud hosting services like AWS or Rackspace may be able to scale back on that and invest some hosting muscle into the decentralized web. The cryptocurrency bear market that occurred after the sharp highs of late 2017 to early 2018 took its toll on the psyche of many past zealots. A rain cloud formed over the collective sentiment of blockchain investors. Lower valuations of coins and tokens associated with blockchain projects led to greater scrutiny of the teams involved, and the projects as a whole. In short, the notion that this would be the team to bring us the decentralized internet was more believable during the boom period. Many were riding high on euphoria when Bitcoin and Ethereum prices went parabolic. Redditors expressed their disillusionment as the Substratum project couldn’t live up to the stratospheric hype. Substratum leadership has been criticized for promising their community the moon then failing to deliver. Ethereum holders particularly, emboldened by their seemingly perfect investment, were drawn to ICOs and new blockchain projects in late 2017. 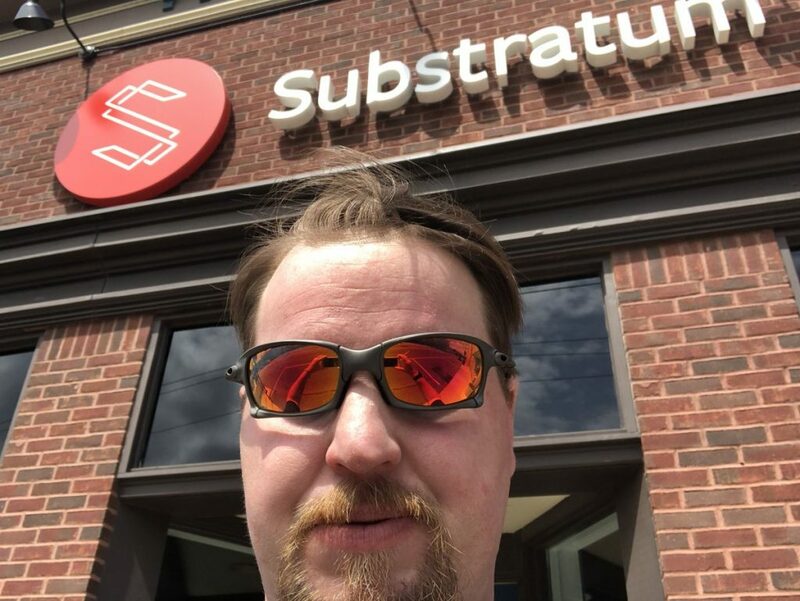 Substratum took advantage of this by ramping up their marketing activity. Allegedly getting various crypto YouTubers to shill SUB tokens was an especially questionable move. The shadiness was amplified when these YouTubers later became inactive or deleted their videos. Substratum was delisted on Kucoin in January 2019, and a month later it was also delisted from the world’s most popular exchange, Binance. This was nearly the death blow to SUB trading as almost 97 percent of the trading volume was on Binance. Members of the Substratum team were accused of engaging in pump and dump schemes with their own coin. This activity would be illegal if it was a public company manipulating their stock price. But since we’re still in the wild west stage in crypto, the most that can be done is to delist tokens associated with unscrupulous projects. Although the hype and enthusiasm surrounding the project has dwindled, Substratum is still an active project with talented team members. And unlike many projects that appeared during the ICO boom, they have a working product. The issue is, shady trading activities and overpromising have diminished their credibility. It will be a challenge to regain the public’s trust, especially due to the severity of the bear market that multiplied the negative effects. There’s still plenty of time for the tide to turn as the crypto market recovers. However, burned investors don’t easily forget and this turn of events has created many bitter critics. While many failed projects pulled an exit scam and completely pulled the rug from underneath ICO investors, Substratum did not. So, this is a signal that Substratum is in this for the long haul despite errors in judgement by management. Substratum tokens were a horrible investment for the many that jumped in during all-time-highs. Nevertheless, if the team manages to deliver a decentralized internet in the future, perhaps this sacrifice was in some ways worth it. This entry was posted in Privacy, VPN and tagged Binance, ERC-20, ETH, Ethereum, Kucoin, SUB, Substratum, VPN on April 23, 2019 by admin. Switch is packed with great online features. Challenge a buddy at Mario Kart 8 Deluxe with online play. Then use the Smartphone app to send him a playful message after running him off the road. You can also download classic NES titles, or take advantage of cloud storage to protect your save data. Not bad for $35 USD a year and light-years ahead of the online features included with Nintendo’s previous consoles: Wii and Wii U.
Sony’s PS4 and Xbox One allow users to hide their IP by adding a VPN in the console’s OS. Nintendo has no built-in features like this. 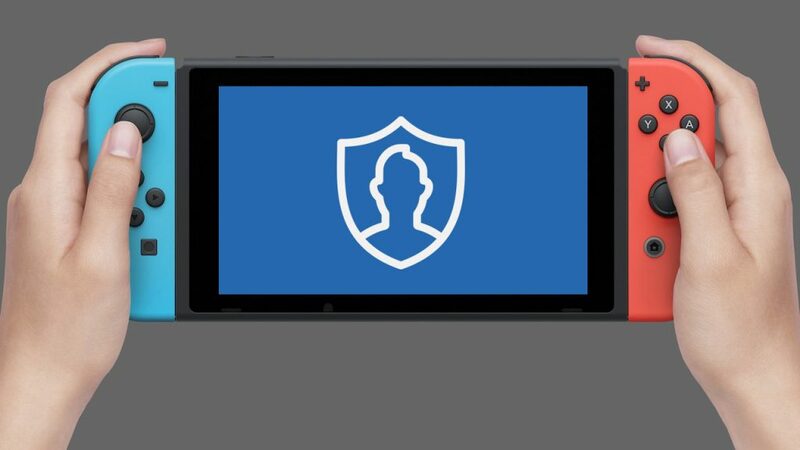 Luckily there are other methods to cloak your identity when connecting to Nintendo Switch Online. Simply use the VPN features built into your router or a Windows 10 machine. A VPN (virtual private network) is needed to connect to the Internet anonymously with Nintendo Switch. This means you’ll need to sign up to a VPN service to complement your Nintendo Switch Online subscription. Luckily VPNs that are both inexpensive and fast are easy to come by these days. The top VPNs are reviewed here. Don’t pull the trigger until you compare them all to choose the best one for your needs. Many will find they’re more comfortable with turning on the VPN for Switch via a PC rather than risking configuration woes by doing it with a router. Note that your Windows box needs to be able to connect to the Internet wirelessly for this approach to work. Right click on the Start button. A contextual menu will appear. Select ‘Network Connections’ from this menu. On the left of the new window you’ll notice list of options below ‘Network & Internet.’ Click on VPN. Make sure you have signed up with a VPN service and have the login credentials needed to connect to it. Click on the option to ‘Add a VPN connection’ with a large plus sign next to it. Complete the form with the info provided to you by your VPN service provider. Click the ‘Save’ button. If your PC has wireless capability you’ll see a ‘Mobile Hotspot’ option at the left of the window. Change the login info and turn it on. If you’re experiencing any issues, try restarting your machine then opening and closing it until it functions correctly. Click on ‘Ethernet’ then click ‘Change adapter options’ listed under ‘Related settings. Click on the ‘Sharing’ tab. Check the box that states “Allow Other Network Users to Connect…” In the dropdown box for network connections select the desired Wi-Fi hotspot (It might be Local Area Connection* #). Congrats! You’re ready to use your Nintendo Switch online with your IP address hidden. Users have also successfully connected their Switch to a VPN via a PC with a wired connection, as well as an Android phone. The instructions are cloudy but you can read more in the replies to this post on Reddit. Turning on a VPN service with your router is also a great option, especially if you’re a technically adept user. The precise steps in configuring the router’s software vary depending on the manufacturer. In essence you need to find the correct place to enter your VPN address, username and password so your hardware can route the Internet connection through the VPN. Every good VPN provider has a knowledge base on their website that steps you through the process of configuring a wide variety of routers to use their service. It’s recommended that you check this first for the most up-to-date instructions. Although Nintendo doesn’t officially provide an interface to utilize a VPN, it’s fairly easy to set up anyhow. It’s basically the same process as hiding the IP on a PC. This guide should provide everything you need to anonymously dominate at Splatoon 2, ARMS, Mario Kart 8 Deluxe and other multiplayer titles. This entry was posted in Privacy, VPN, Windows and tagged Nintendo, Switch, VPN, Windows on November 16, 2018 by admin. Records of an average person’s browsing history may not be worth much, but when you add every citizen of the U.S. to the equation, the value becomes millions of dollars. ISPs want your personal data so they can sell it to the highest bidder (if law allows). Advertisers and titans of Web search want it so they can display products they know you’re interested in. Finally, the government wants access to your activities, incase they find a reason to spy on you. These players are becoming a bigger threat to your online privacy by the day, and it’s about time you stood up to this menace. It starts by protecting yourself, namely with Tor, a VPN or proxy. There’s no perfect solution, however it should be said they’re not all in the same league either. So let’s look at the pros and cons of each of these technologies. Known as “the onion router,” Tor is free software that allows you to join their anonymity service. Tor directs traffic though a network of thousands of relays run by volunteers around the world. It makes it very difficult if not impossible for someone to monitor your online usage, and also prevents site owners from seeing your true location. Tor Browser requires no setup, however it wont hide activities in other apps such as email, FTP, torrent client, etc. Only accomplished tech aficionados should tackle their Expert Bundle which is the standalone flavor of Tor. It allows you to manually configure programs to work with it. Not only is this free software, but also a free service which is pretty amazing. Tor Browser is really easy to use. In terms of speed, expect varying degrees of slow. Considering all your browsing data is bouncing around various relays worldwide, it’s understandable why. The other reason is advancements in the network and software are dependent on altruistic contributions, which are short in supply. 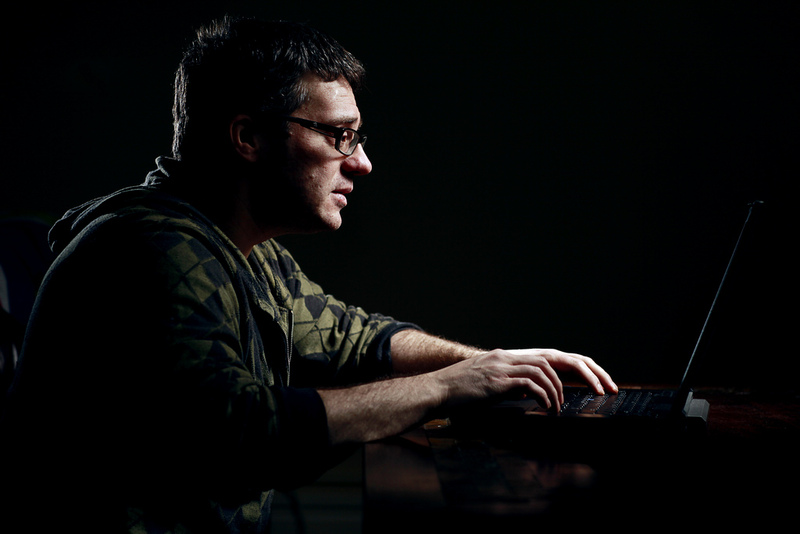 Since launching in 2002 it has created a reputation for being a favored tool of cyber criminals, spammers and dissidents. Attempts to hide yourself with it can backfire as Tor users are viewed with suspicion; it may be a red flag for someone with power or savvy to monitor what you’re up to. A VPN extends a private network across a public network. It acts as a fast, secure bridge between your computer and the internet, encrypting your data as you browse the web. Sites you visit and other prying eyes won’t be able to see your real IP address; instead they’ll see the IP associated with the VPN service. VPNs also allow you to bypass geographic restrictions by allowing you to assume an IP associated with a different country. VPN access is a service, and just like internet access you’ll be billed monthly to use it. Paid service so servers are robust, reliable and fast. Quality VPN services have huge networks of servers located around the world. Used for professional applications by IT professionals, so VPN users are generally granted far more trust than Tor or proxy users. Services offer extensive software for use with any OS (desktop or mobile), and with any application. Need to subscribe to a service with associated monthly fee. View a comparison of top VPNs. Before VPNs exploded in popularity, proxy servers and web proxies were the go-to method for hiding your identity. Similar to a VPN a proxy is a gateway between your home network and a public network such as the internet. When viewing lists of proxy servers published online you’ll come across three types: anonymous, elite and transparent. Basically the slower the proxy type, the more secure the connection. So transparent is the fastest, least secure, anonymous is in the middle, and elite is every secure, plus even tries to hide the fact you’re using a proxy, but is the slowest type. Unlike VPNs which allow you to setup one centralized app that will anonymize all your activity no matter which application you’re using; proxies require extensive configuration. You’ll need to learn the the proxy options well in each app as you’ll likely need to change servers often in search of a solution with decent speeds. Both free and paid proxies are available although most will want a VPN if they choose to pay. Free proxy lists are plentiful, many of which are checked continuously to ensure the list is fresh and that the proxies are indeed online. Free proxy servers are run by individuals not companies that operate with at least some ethical standards. Free proxies are used and abused by spammers and malicious users so you may find the proxy server IP is banned by the site you wish to use. Each app is configured separately, which can get time consuming and frustrating due to the probable need to change proxy server often. View a free proxy list. Free proxies and Tor are fine for dabblers. However, if you wish to hide your identity on an ongoing basis you’ll almost certainly lose patience with the unreliability, slow speeds, or hoop-jumping (in the case of proxies) associated with these methods. The top VPN services recommended here on LetMeBy are fast, trustworthy and generally a better option for nearly everyone. The only downside is you’ll need to pay for it, but since VPNs have come down in the price and are now available for just $5 per month, this isn’t much of a drawback anymore. This entry was posted in Privacy, VPN and tagged proxy, Tor, VPN on June 2, 2017 by admin. Looking for a slick, easy way to hide your IP without sacrificing speed? Golden Frog’s VyprVPN may be what you’ve been seeking. VyprVPN is available for Windows, Mac, iOS and Android. This review focuses on the Windows version and was tested using their Premier plan. The Microsoft .NET 4.5 portion of the VyprVPN installer package stalled on me, but after getting through this small hiccup any initial doubts I had were eliminated. VyprVPN desktop software is wonderfully designed, intuitive to use, and it just works. It appears in a tall, thin window, like a desktop widget, freeing most of your screen real estate for Web browsing. Click the big “connect” button and you’ll be connected to the closest server available without any hassle. Every time you do, you are given a new IP to hide your true IP address. Props to Golden Frog for keeping things simple for the average user by making the most used basic functions prominent. Connection speed bar graph, VyprVPN IP address, time connected, protocol and encryption details, NAT firewall, etc. are cleanly displayed. Under the hood it offers a great level of settings under the options menu reserved for power users. One notable aspect is the encryption options, which include Chameleon (256 bit), OpenVPN (256 bit or 160 bit), L2TP/IPsec (256 bit) and PPTP (128 bit). Chameleon encryption is unique to VyprVPN and works by masking VPN traffic so the connection isn’t blocked or throttled. Naturally the closer the VPN speed is to that of your vanilla internet connection, the better the VPN’s performance. To start I tested my ISP speed (cable broadband) in order to compare the results to the performance while connected to VyprVPN servers. VyprVPN automatically makes the default server the one with the fastest ping time. If you want to assume an IP associated with a specific country or U.S. state, you can choose from a list of 45 major markets around the world. The two closest servers to me are Toronto and Chicago. Speeds were so close to my connection without a VPN I couldn’t tell the difference. Big files were downloaded with ease and HD video streamed without hiccups. VyprVPN would be a good choice indeed for people outside of the U.S. that want access to the U.S. version of Netflix, which is one of the most demanding uses of a VPN. VyprVPN has a competitive monthly fee, especially when you consider the high quality of the service. Three plans are offered depending on your needs. The main difference is the number of simultaneous connections they allow. With basic you get one connection, with pro you get two, and premier allows three. Learn more about the plans here on Golden Frog’s official site. VyprVPN is polished, easy to use and the performance is top notch. I’m docking a bit off the score for the installation woes but keep in mind this could be the fault of Microsoft and not Golden Frog. Click here to get VyprVPN software or learn more! This entry was posted in VPN, Windows and tagged software, VPN, VyprVPN on September 22, 2014 by admin.